We fabricated, fit and supply commercials door to many sectors - Public & Private, schools, hospitals, restaurants, retailers, and office blocks. A variety of different door-stiles, top and bottom rails and midrails are offered to meet individual design requirements. 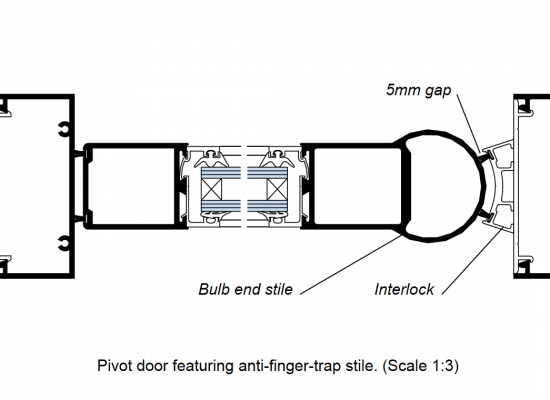 Also available in a range of door thresholds including a rebated threshold for open out doors and a rebated ramp threshold for open in doors. 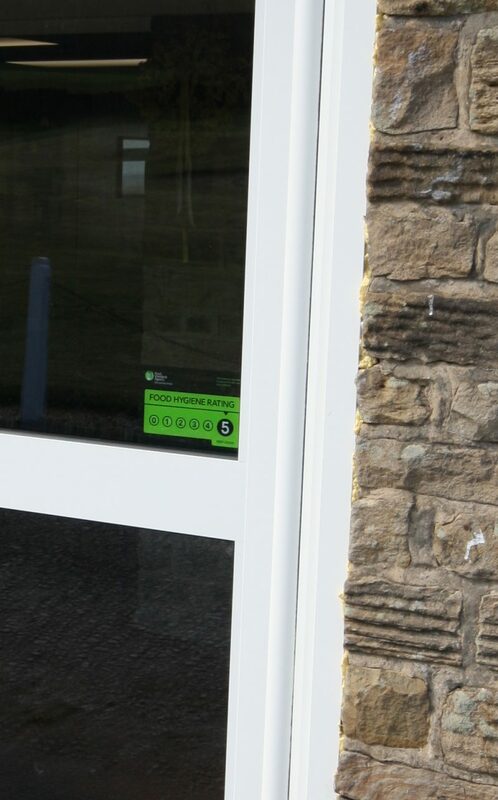 Our doors are DDA compliant (Disability Discrimination Act), with low thresholds. We can also fit push pads to allow easy opening and at a height for wheelchair users. 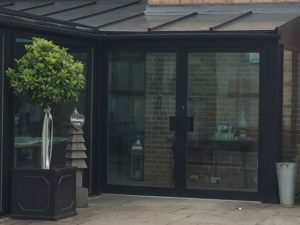 Our commercial doors are available in over 200 different RAL colours to fit with your corporate style and are hard wearing and an excellent choice for high traffic entrances. CMC Aluminium can provide commercial doors for new build and replacement projects or simply maintain your existing commercial door. Anti-finger trap stiles (fitted as standard on all schools). A choice of locking systems to meet your insurance requirements. Low threshold to meet DDA regulations. Automatic swing or sliding doors with all necessary safety features. Exit bars to European standards. A wide variety of glazed, louvered or panelled options. Entry control systems including digital locks and electric strike release. When you involved in the planning of your project why not include CMC Aluminium. We can offer our experience to assist in resolving planning issues you may face. Speak to us about your commercial door. 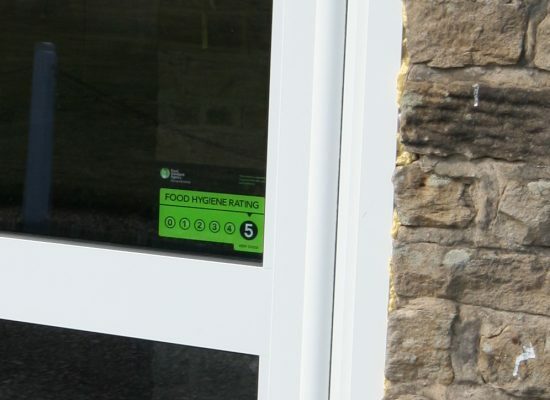 We can advice on the safety features, weather rating and the security aspects of your door. Let us worry about the installation. 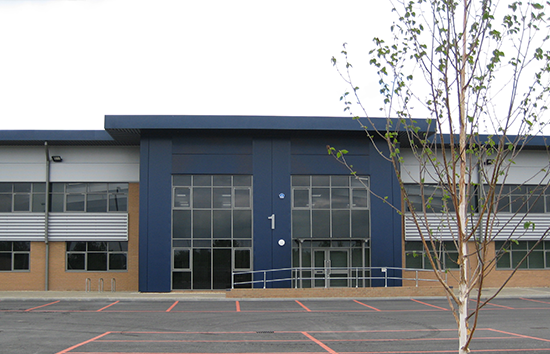 We can work to your schedule to ensure your doors are installed and operational before your opening or handover date. The doors offer the specifier a high performance door system capable of meeting the requirements of commercial buildings, with double polypropylene pile on all four sides of the door for improved weather performance. Integral extruded rebate to prevent removal of the glass from the outside. Three point locking system. 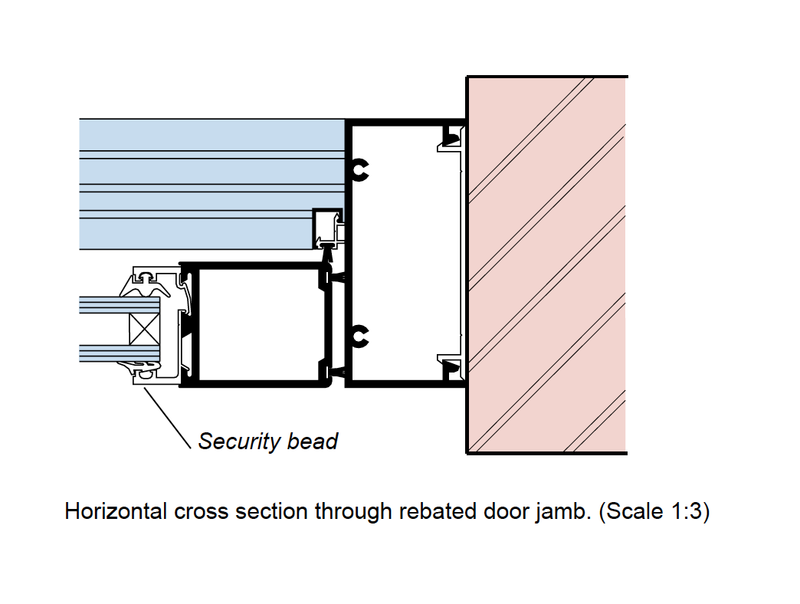 For panic opening in automatic sliding doors, a special stile has been developed to hinge outwards for emergency exit. Video of a Commercial Door with anti-finger trap. The Commercial door can accommodate glazing panels between 6mm and 24mm. The commercial doors can either be a pivot door or a sliding door. Sliding doors are ideal for car showrooms, airports and shopping complexes. We understand how important the reliability of the doors are. Many of the installations shown on the website were installed over 20 years ago when CMC Aluminium was first started! In the event of an emergency, the system can be opened up in a safe, trouble-free way. 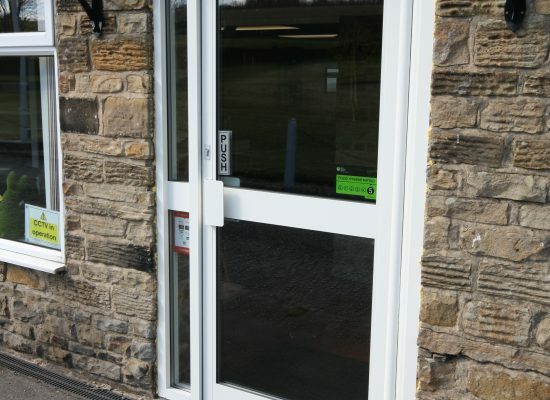 If an incident arises, the sliding doors (which are fitted with hinges) can be opened manually with the same swivel action as a normal door to provide an escape exit and access route for the emergency services. Especially helpful in the event of panic. They have practical full-width opening system. Push open the raised sliding leaves and side panels to create a wide, practical opening for transport access or for use in summer. Bulky objects, or even vehicles, can then be moved from one area to another without difficulty. In day-to-day operation, the automatic drive system opens and closes reliably to ensure unhindered, contact-free access.